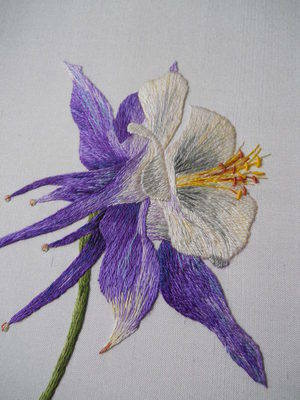 Distance learning classes - learn to stitch from the comfort of your own home! New to Sarah Homfray, distance learning classes start in 2013 with beautiful designs to work, quality material packs and comprehensive instructions. More news on this soon! 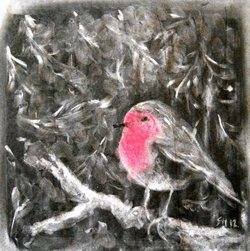 Wishing you all Season's Greetings and Happy Holidays!!! I spent a very happy few hours at the British Museum at the weekend visiting the 'Shakespeare: Staging the world Exhibition'. It's on until the 25th of November so you still have time to see, amongst other things, Guy Fawke's lantern, a coin cast by Brutus on the death of Caesar and a 1600's bed valance looking as good as the day it was woven! 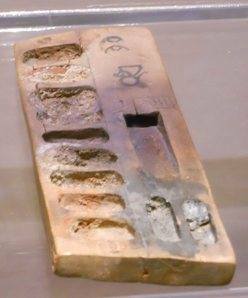 Painter's pallette inscribed with the names of two royal scribes Amenotep and Minnakht. 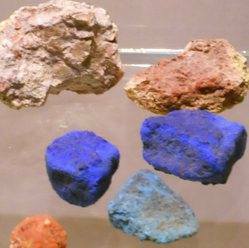 When you see these things and then look at Egyptian paintings, they are even more inspiring! These items are on permanent display in the Egyptian galleries at the museum. If you live on, or are visiting the West coast of the USA, don't miss the amazing new exhibition, 'Rudolf Nureyev: A Life in Dance' on at the De Young Fine Arts Museums, San Francisco. This is a must see for anyone interested in embroidery/costume/ballet with over 80 costumes on display, displayed magnificently as usual by the De Young. 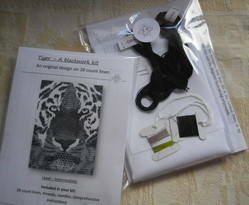 The long awaited Tiger blackwork kit is now available in the shop! Based on an original apprenticeship piece designed and stitched by myself, this Tiger is worked on 28 count Bantry (Quaker) linen and the kit comes with everything you need to work this piece including linen, needles, threads and very comprehensive instructions; consider it a lesson in a kit! Due to the complexity of the design, this kit is more suited to those with some experience of counted embroidery. If you need something a little simpler to get you going, cross stitch is a great place to start. You could try my new 'Red Rose' cross stitch kit or look out for some smaller cross stitch designs on their way soon! New Kreiniks in stock! Add some colour to your goldwork! New distance learning open for enrolment! Beetlewing kits are back in stock! Some new dates for your diary! New classes - Now taking bookings! New bumble bee kit, add to the collection! Back from the US of A! What's been happening in June! New goldwork items in the shop! Welcome Doll and miniature lovers! Embroider your own peg doll! Silk shading book now available! See you in Rugby this weekend! Books now for sale in the shop! Customising cloth - Upcycle your fabrics! Prick and pounce kits now for sale! The great peg doll swap!